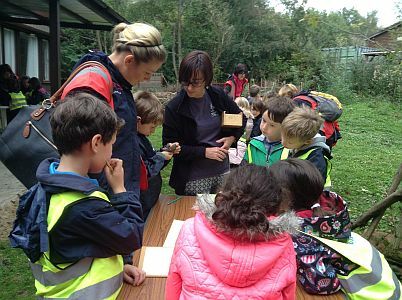 Yesterday, Year 3 went on a school trip to Sevenoaks Wildlife Reserve. 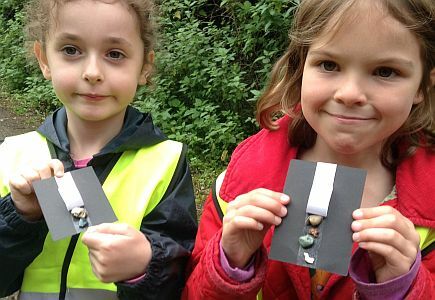 We went because we wanted to learn a little bit more about rocks in Kent. Firstly, we were given three rocks and a chart with boxes on it. We needed to sort the rocks into the right boxes. For example, if you chose a rock with crystals in it, we sorted it into the box labelled crystals. My group managed to pick up a sandstone, a crystal, a molten lava rock and something that looked like a piece of floor. 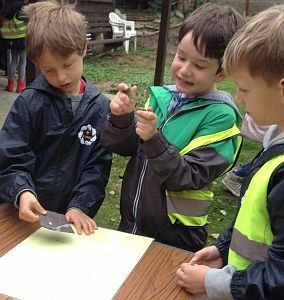 Next, we went walking along with a piece of black paper and we were looking for stones to stick on it. I found a few interesting pieces of flint, a piece of brick with patterned stones on the back and an emerald stone. Later, we collected parts of nature to make a print in clay for our fossil. Then we poured plaster of paris over it. We played pooh sticks in the river and then walked back to school. 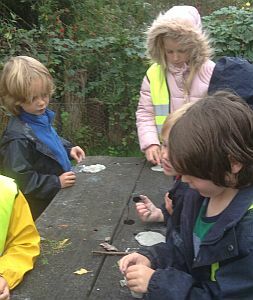 My favourite part was collecting the rocks and making the fossils. 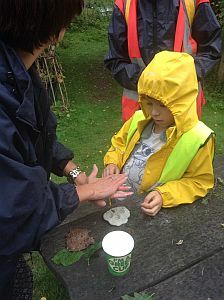 I enjoyed everything and learnt that making fossils is not easy and sorting out rocks is fun.